A section of Hip-Hop fans have often accused Tory Lanez of taking other artists’ styles for making his songs. When Meek Mill and Tory Lanez released their song ‘Litty’, some fans thought Tory definitely bit Travis Scott’s style on the delivery. Well, Tory surely wasn’t lying about the incident in the lyrics as video proof of same has now surfaced. In the clip, which you can watch below, one can see the two artists arguing about their differences in a room in company of a few others. Tory even offers to fight it out right there but Travis doesn’t seem interested. 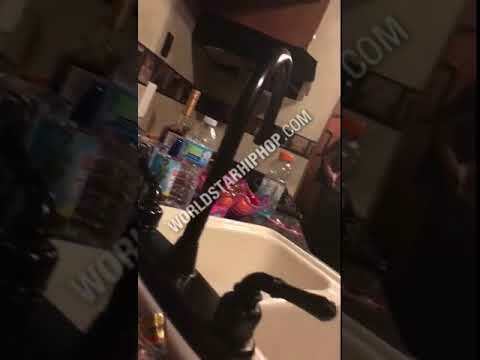 The post WATCH TORY LANEZ & TRAVIS SCOTT ALMOST COME TO BLOWS BACKSTAGE AT CONCERT appeared first on PowerOfNaija.com. 0 Response to "WATCH TORY LANEZ & TRAVIS SCOTT ALMOST COME TO BLOWS BACKSTAGE AT CONCERT"